A stunning environment to learn. Due to the university’s licensing obligations, alumni can not currently use university computers or any electronic information products, other than on-line catalogues. 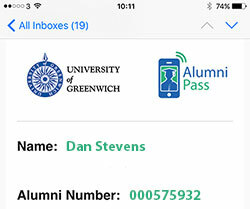 Your Alumni ID number (if known) – this is the same as your old student ID.